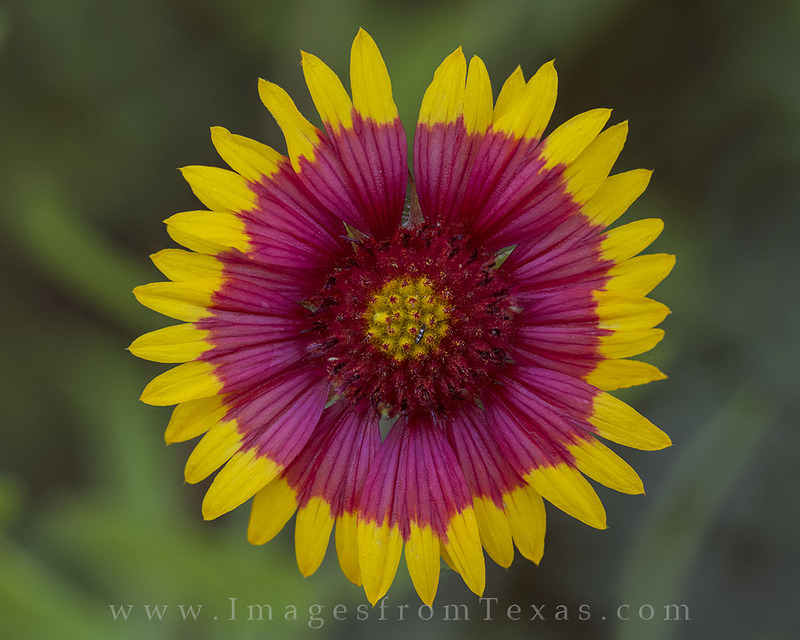 This firewheel, also called an Indian Blanket, covers fields each April and May in the Texas Hill Country. This wildflower photograph was taken with a macro lens to show the subtle intricacies of the bloom. Photo © copyright by Rob Greebon.